Less than 24 hours after seeking to quell concerns over an agreement to rename Abington Senior High School for billionaire alumnus Stephen Schwarzman, district officials have pulled the plug on the idea. The Abington district had agreed to the name change to recognize the Wall Street executive's $25 million donation to the school. But in a letter emailed to alumni and the school community about 9 a.m. Saturday, Abington Schools Superintendent Amy F. Sichel, Ph.D. said the school's name will not change. Concerns about the name change – the school was to be renamed Abington Schwarzman High School – raised by a minority led the district to reconsider the move. In an earlier letter Friday to the school community, however, district officials said that while they respected the opinions of those who disagreed with naming the school for Schwarzman, they stood by their decision. In her follow-up letter on Saturday morning, Sichel said concerns were taken to Schwarzman's representatives, who "conveyed that nothing should detract from our important mission and agree that the school's name should remain as is." Schwarzman, a billionaire investor and philanthropist, is making a $25 million donation – the largest ever gift to a U.S. public high school, according to the school district – to add a new wing and renovate the existing building. As part of the pledge agreement, the district agreed to the name change, which was not disclosed when the donation was announced six weeks ago, but came up as an agenda item at Tuesday night's school board meeting. Many alumni and people in the school community were upset by the plan to change the name of the school and took to social media to voice their displeasure. District officials tried to counter that criticism in a letter on Friday from Sichel, school board president Raymond McGarry and Susan D. Arnhold, vice president of the school board. Are you kidding. Abington High renamed Schwartzman High. We appreciate the money of course but we don’t name public schools funded by taxpayers to be renamed for financial moguls. Good for Schwartzman. Not good for Abington. How do you feel? In that letter, Sichel said she approached Schwarzman, a friend, and sought his contribution to help fund the high school project. "Personally we knew that if we were successful in obtaining a sizeable gift, it would likely come with some form of naming rights," they said in the letter, which sought to quell the outcry. "It is not surprising that conversations occurred to incorporate Mr. Schwarzman’s name into the school in some fashion. This is typical at colleges and universities and other large organizations. We understand it may not be typical for public schools, but neither is it typical for a public high school to receive a gift in the amount that we were lucky enough to receive." The letter also responded to the criticism. "We have seen some comments that by making this name change we are commercializing the schools," they wrote. "We disagree. As a District we wanted to recognize Mr. Schwarzman’s generosity in a meaningful way that reflected the magnitude of the gift and the impact that it will have on the community for decades to come." The letter ended by acknowledging that the district respected the opinions of those who disagreed with the name change. "We understand that even after reading this letter, some people may disagree with the decision and may not support this name change," Sichel, McGarry and Arnhold wrote. "That is absolutely your right, and we respect your opinions. As elected officials and stewards of your tax dollars, and as Superintendent, we accept your criticism but stand by the decision. We believe in weighing all of the factors, and the Board made a decision which we believe to be in the best interests of the residents, taxpayers and students of our district." And then came Saturday's announcement that the school will retain its name. "I understand that there could be a negative response for folks that have always known this as Abington Senior High School," McGarry had told PhillyVoice on Wednesday. "I understand the sensitivity to that. I understand that there could be a negative or an emotional response to that." 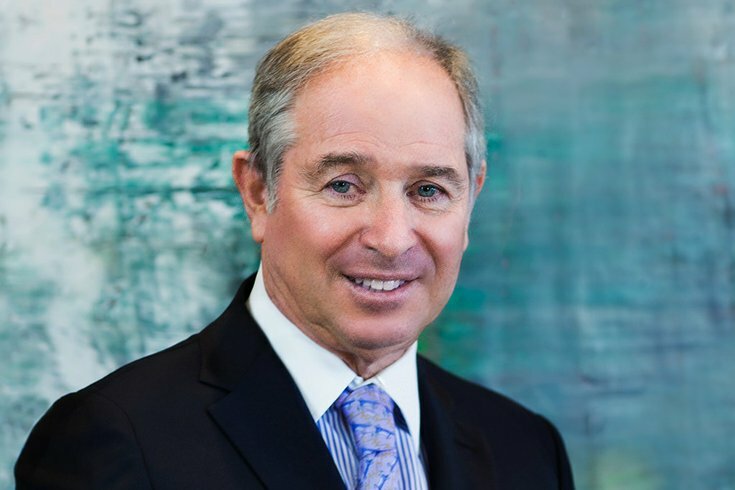 Schwarzman, a 1965 graduation of Abington, is the co-founder and chairman of the global private equity firm The Blackstone Group. He previously served as the chair of President Donald Trump's since-dissolved Strategic and Policy Forum. In 2006, Schwarzman provided a contribution to help pay for a new football stadium at the high school that also bears his name. Schwarzman's gift will fund the construction of a new Science and Technology Center, fully renovate the 1950s era high school and revamp the district's secondary curriculum, placing a heavy emphasis on early training in STEM fields. 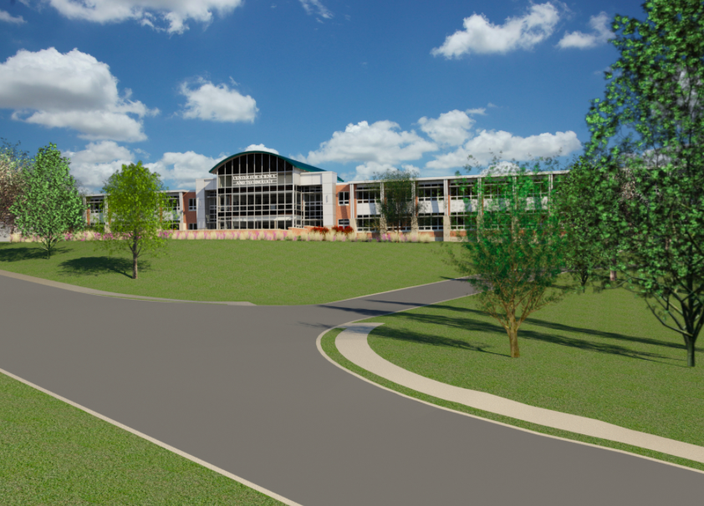 Rendering of new Science and Technology Center at Abington Senior High School. The Science and Technology is expected to open in 2020, with renovations expected to be completed by September 2022. Abington's revamped curriculum will include required classes in computer science and coding starting as early as seventh grade. Upon the completion of the new building, students will receive computers for use at school and at home. The new curriculum is expected to offer students greater flexibility in selecting classes, providing a wider range of exposure to potential career paths. The district also will restructure its grade level distribution. Sixth grade students will shift from the elementary level into the current junior high school, which will become a middle school. Ninth grade students will move into the new high school. I have spoken to our donor's representative regarding the concerns raised by a minority in the community around the change of our school name. The purpose of this generous gift – the largest ever to a U.S. public high school in history – is to help Albington High School to the best it can be and to undertake a critical renovation that will dramatically improve the student experience as well as student preparedness. The donor's representatives conveyed that nothing should detract from our important mission and agree that the school's name should remain as is. On behalf of the Abington community I would like to express my sincere thanks to Mr. Schwarzman for his generosity and vision surrounding the project. We also thank all those in the community and around the country who have reached out in support of this momentuous project, recognizing the huge impact it will have on our students for decades to come. The Abington community remains extremely grateful for the help. PhillyVoice staffers John Kopp and Michael Tanenbaum contributed to this report.